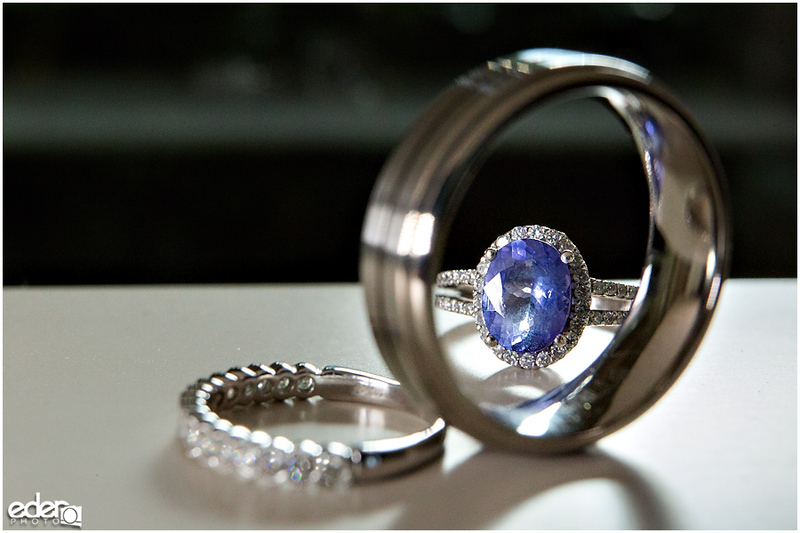 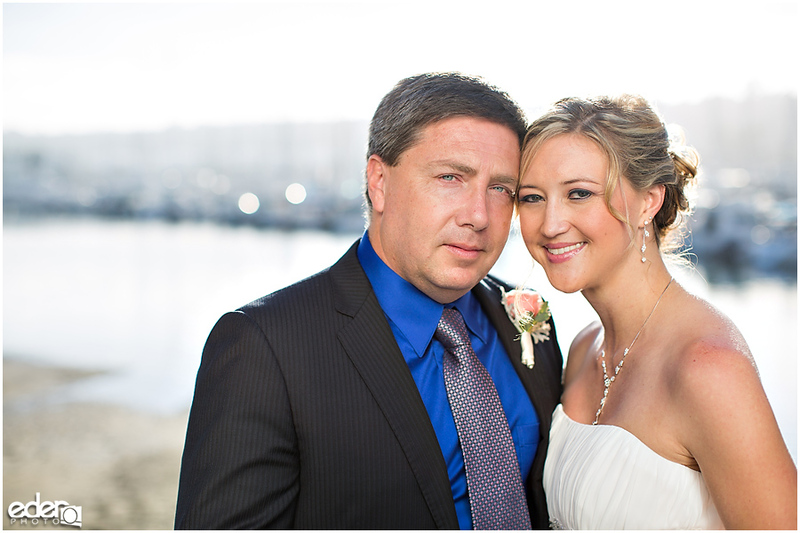 It does not need to be a large wedding for us to get some grand wedding portraits. 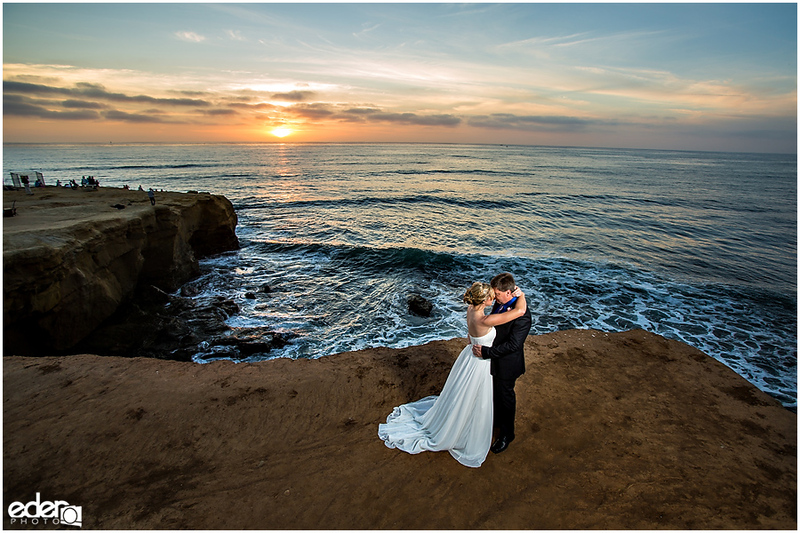 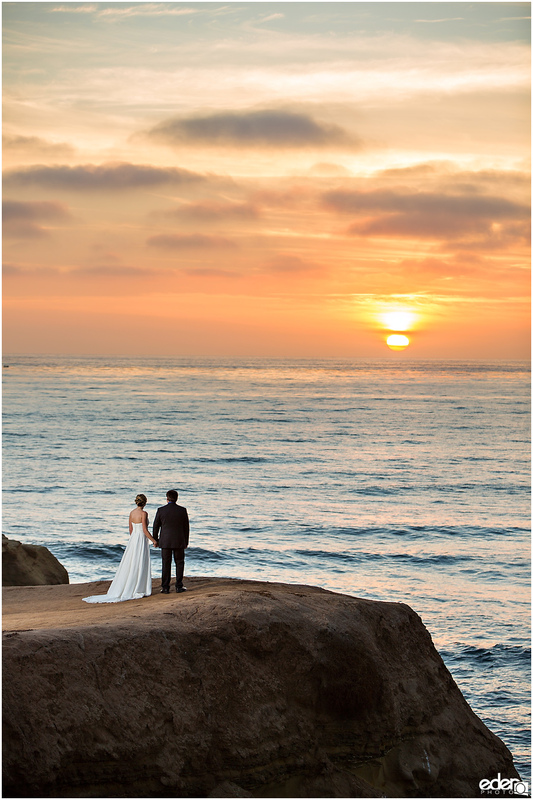 This Sunset Cliffs Elopement shows just that. 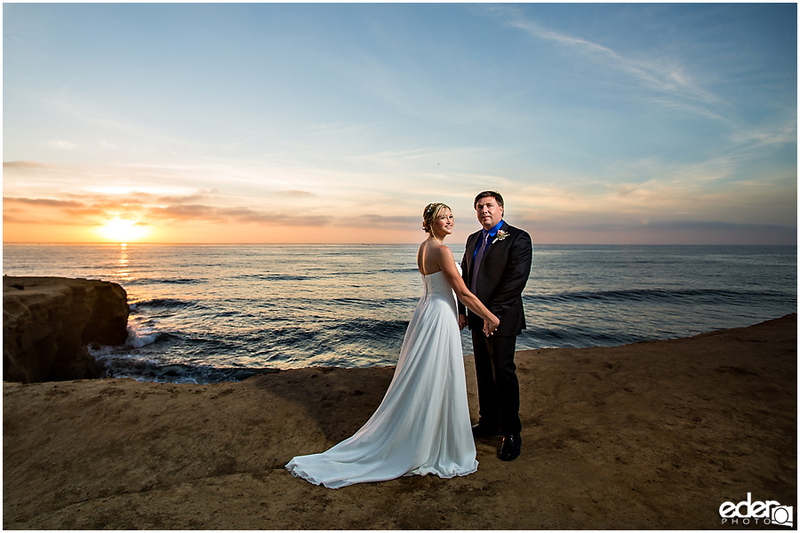 Amy and Mark traveled to San Diego to get married. 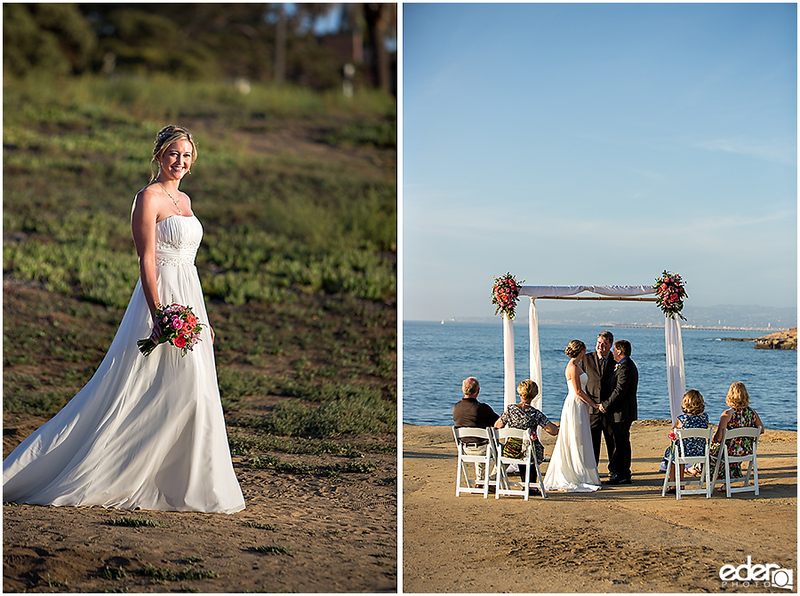 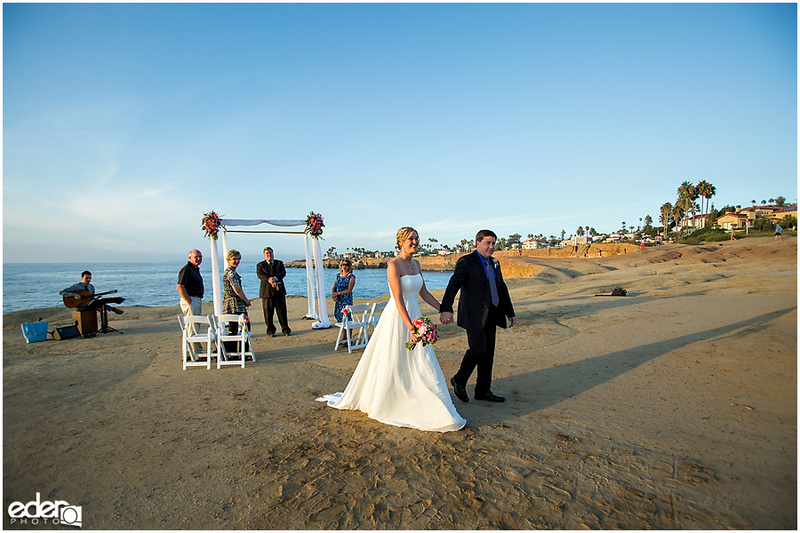 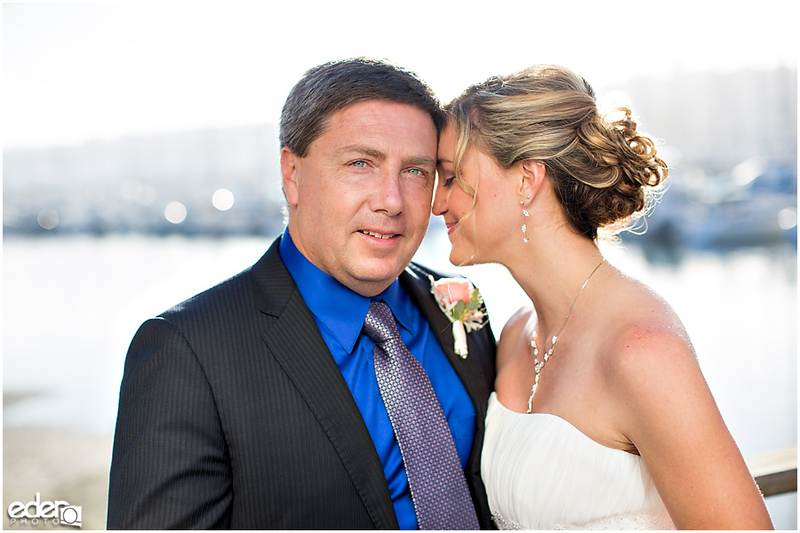 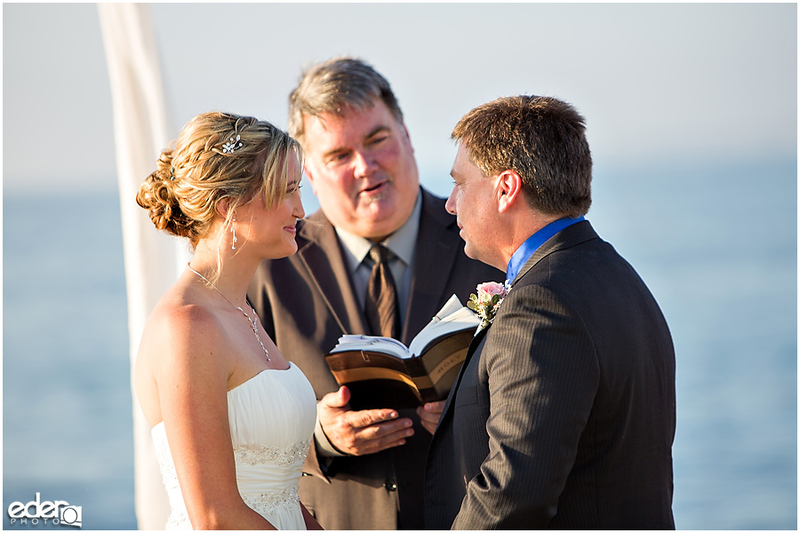 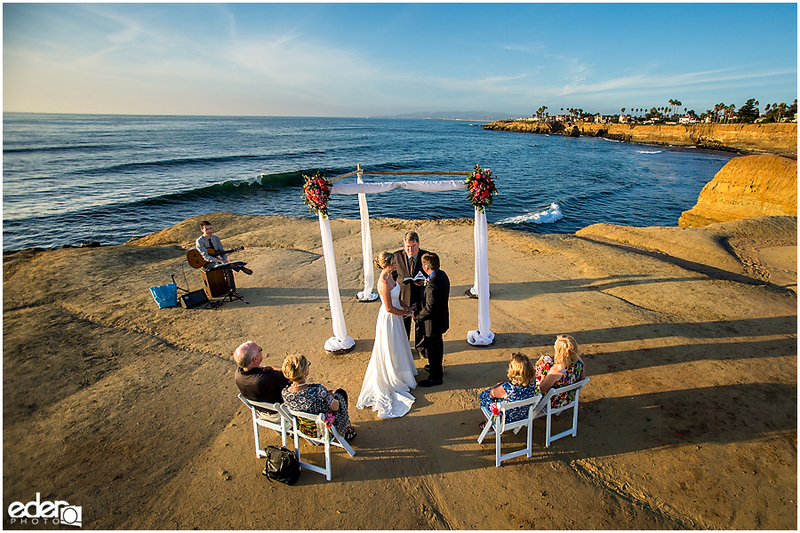 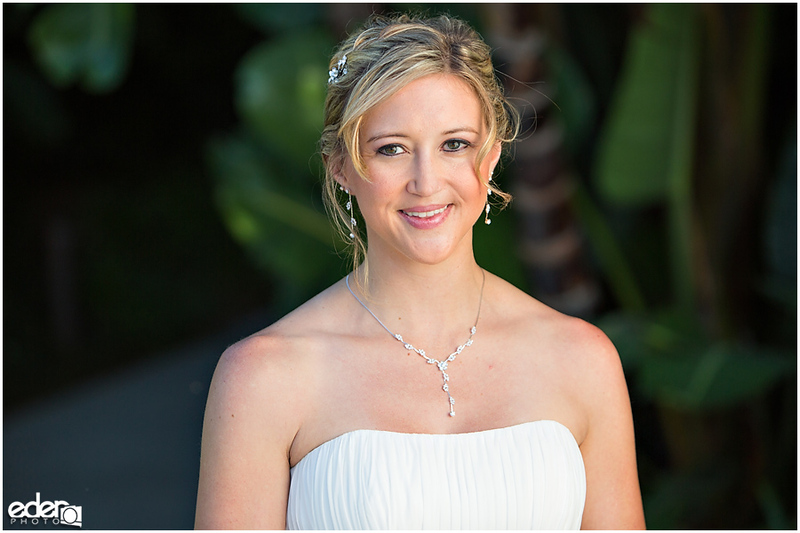 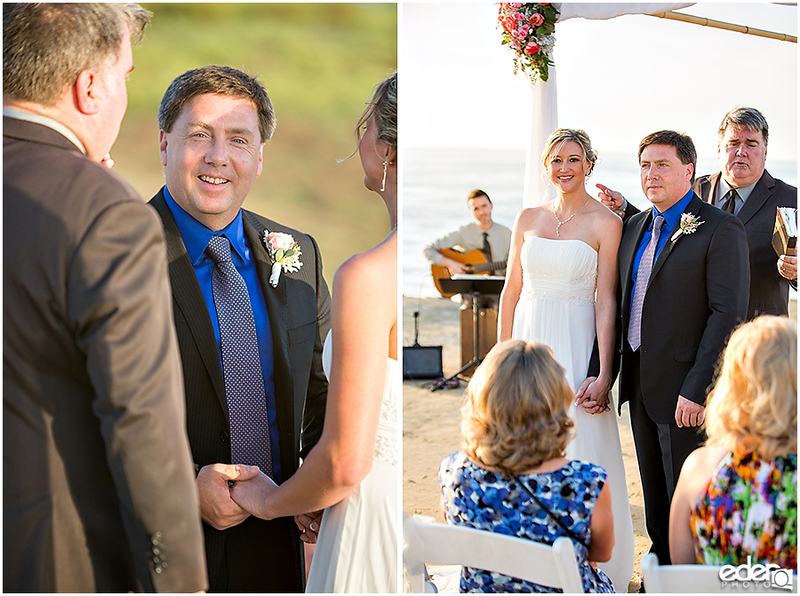 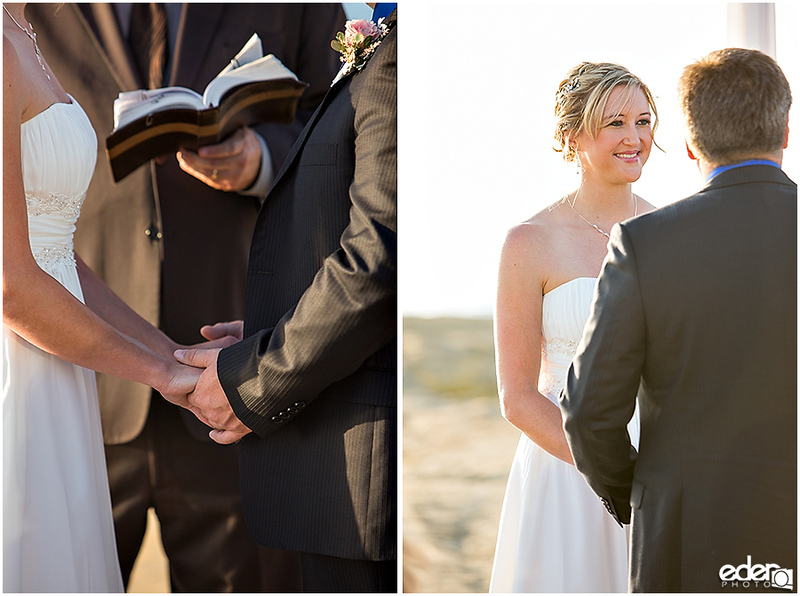 With the help of Amy June Weddings and Events, they had a wedding ceremony on the cliffs overlooking the ocean. 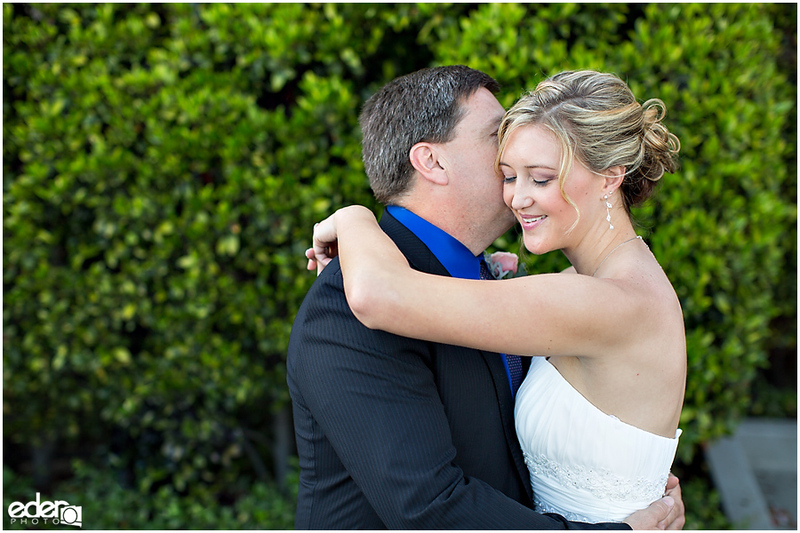 We started their day with some getting ready photos at the hotel. 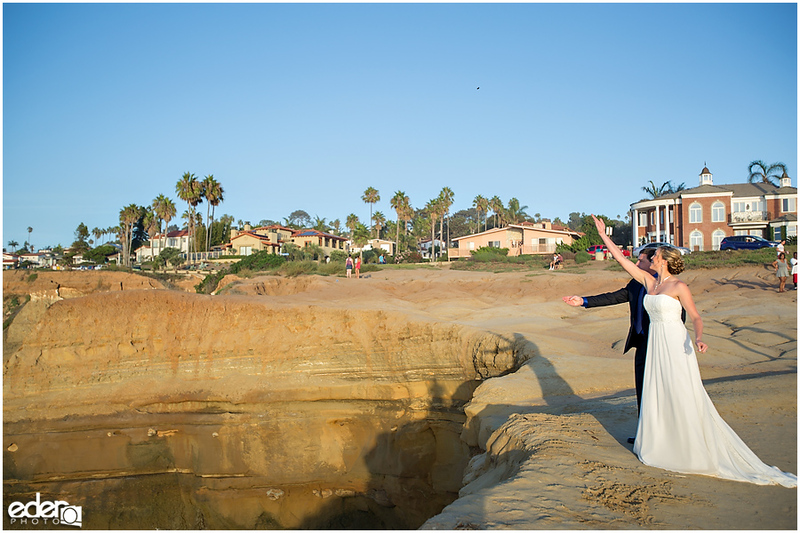 We photographed some of the details and when they got dressed went outside for some portraits. 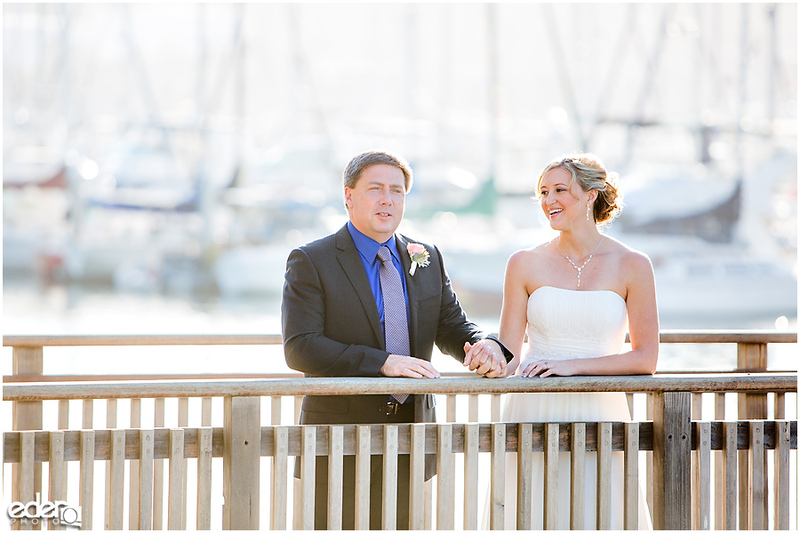 The hotel had some nice greenery and even a dock that we were able to use for a backdrop. 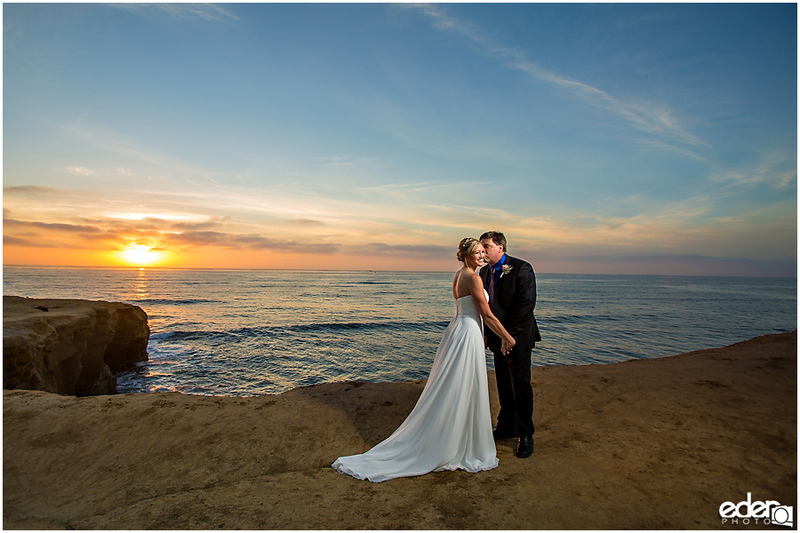 When going to a location like Sunset Cliffs, it’s a good idea to do some portraits before we head out to the wide open spaces. 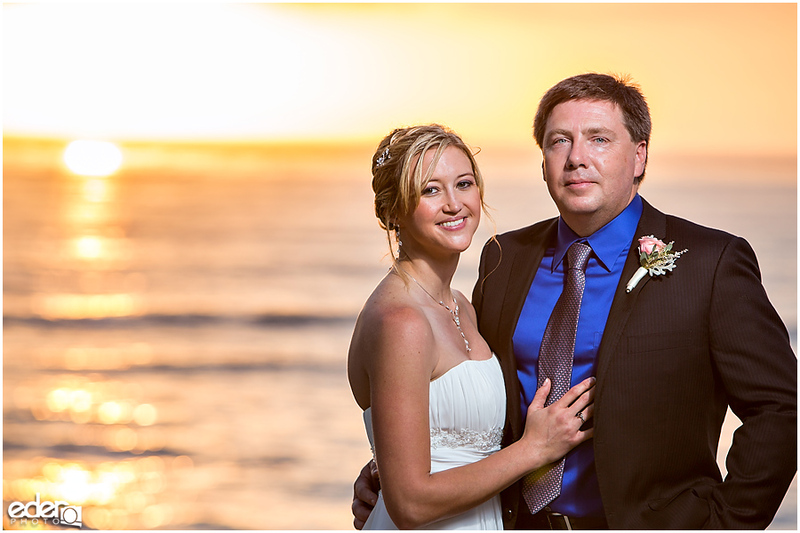 While wide open spaces are great for big scenic photos, the lighting can be harsh for closeup portraits. 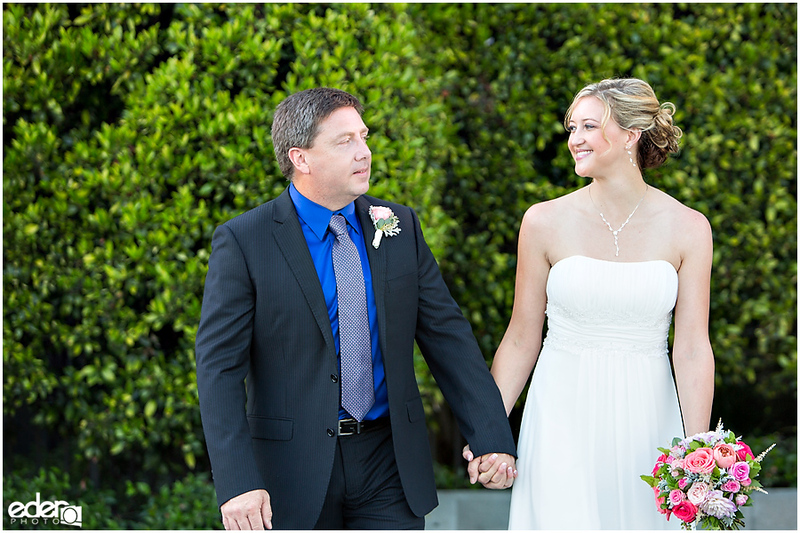 Their hotel had high walls with some shade that allowed us to control the natural light nicely. 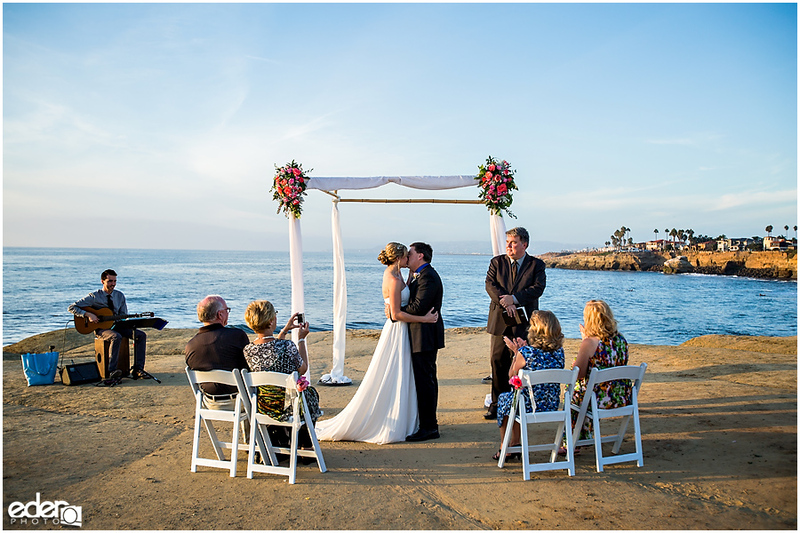 We arrived at Sunset Cliffs to a nice little ceremony setup of four chairs and a draped bamboo arch decorated with flowers. 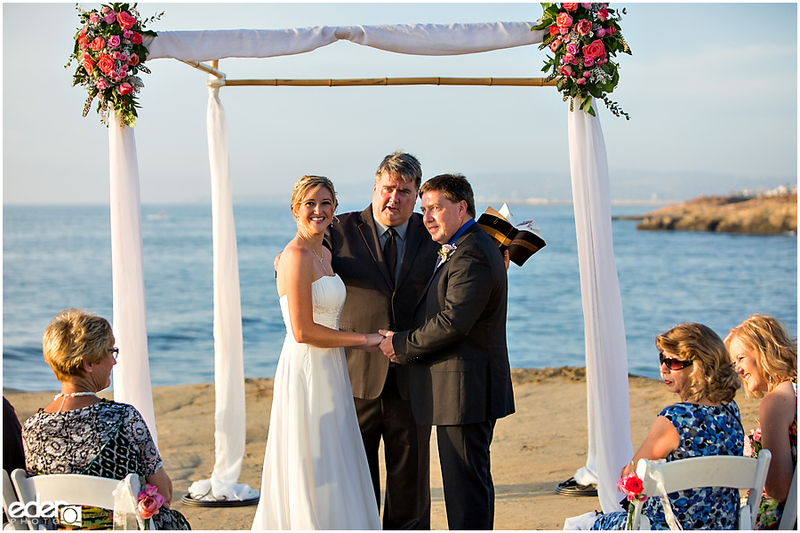 They even had a guitarist to create a soundscape that accompanied the crashing waves in the background. 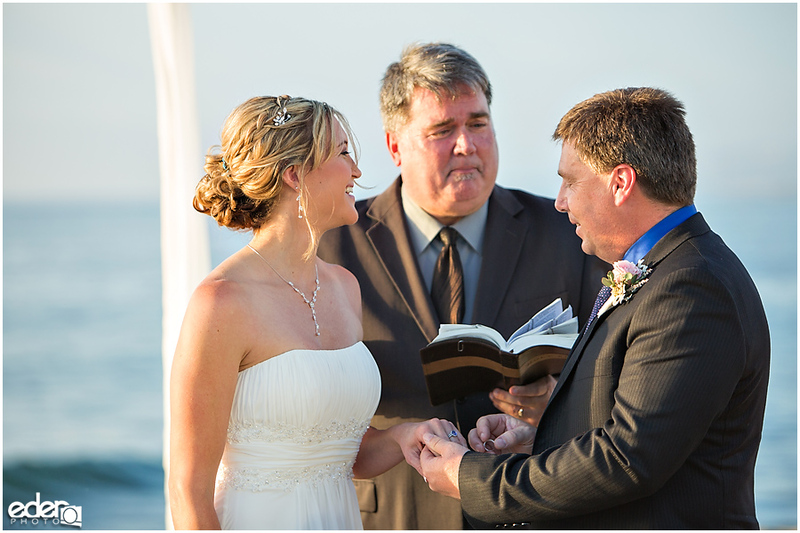 Amy and Mark said their vows, tossed coins into the ocean for good luck, kissed and were officially married. 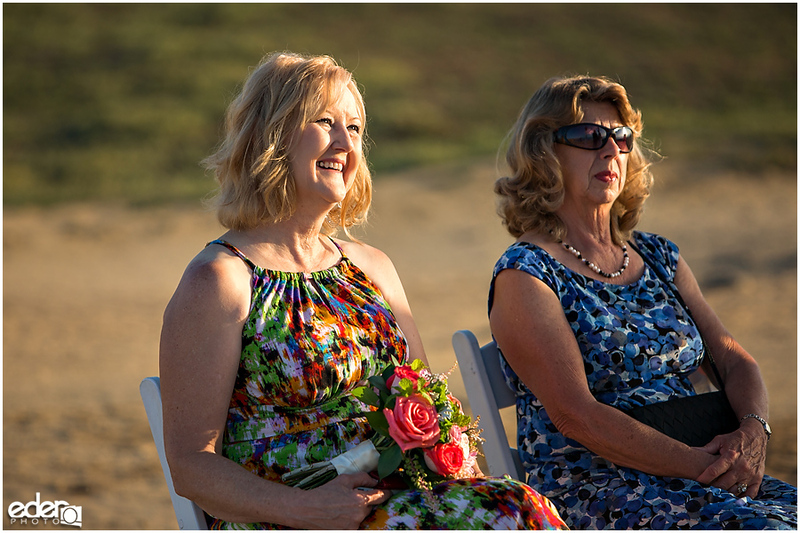 They had some dinner reservations following the ceremony, but they could not run off until we did some portraits and took full advantage of the beautiful sunset that we had that day. 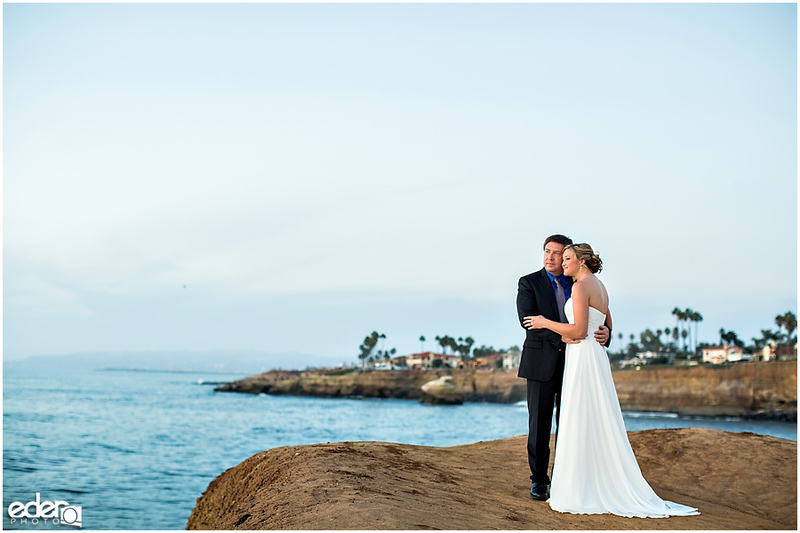 I had them stand near a safe distance near the edge of the cliffs and I ran to the other side of the cliff so that I can try and paint a picture of how big the scene felt in person. 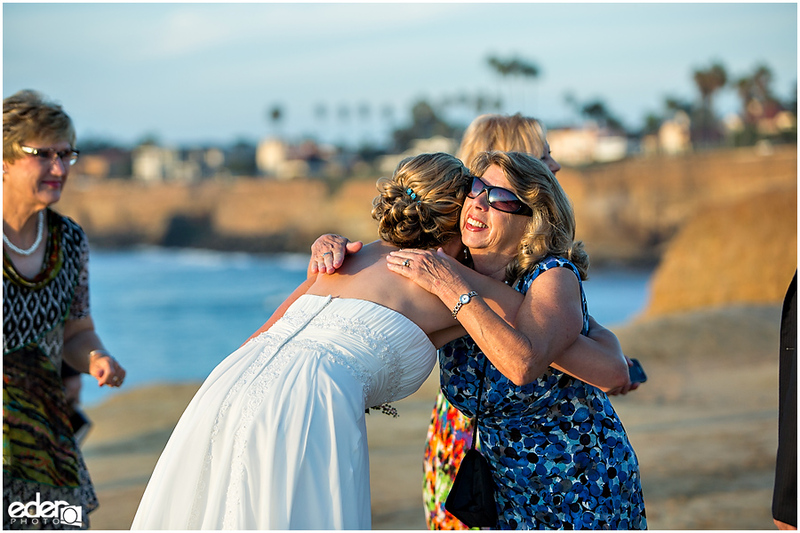 Sometimes we can’t get a feel for it if we are standing too close.